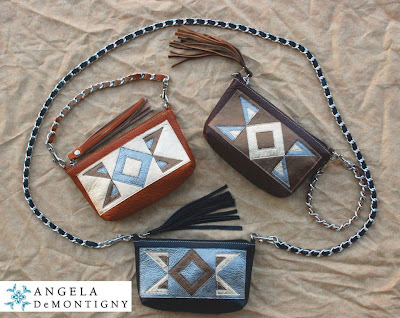 Check out First Nations fashion designer Angela DeMontigny's latest purse collection, the Parfleche Series. 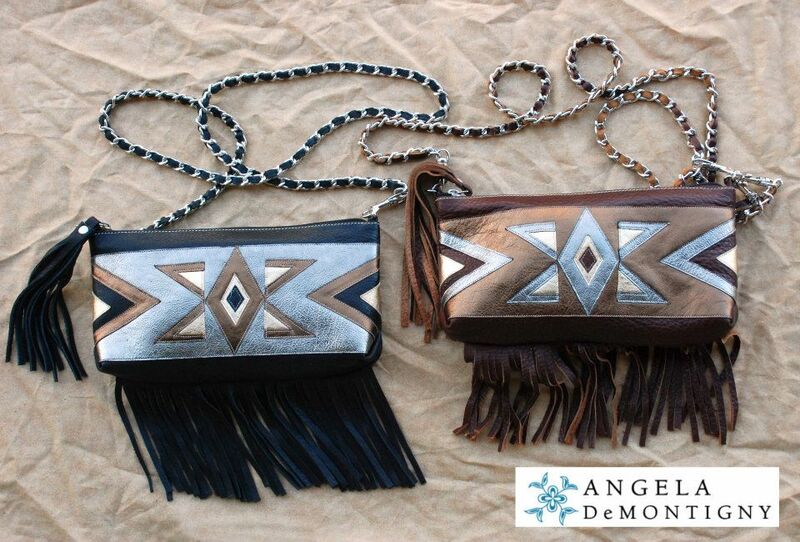 Based on Plains Indian parfleche rawhide bags, DeMontigny's versions are hand cut and sewn by master leather craftsmen using the finest Italian leather and hardware. 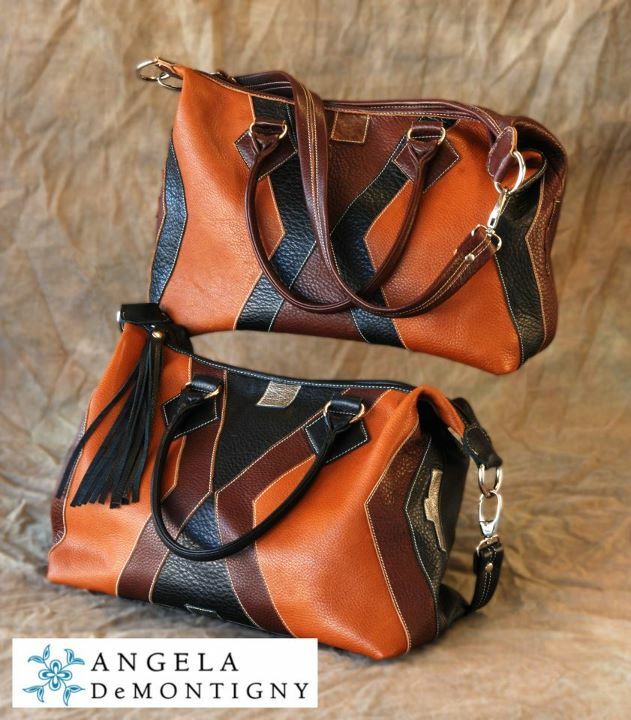 This collection is based on the parfleche, which is a Native American rawhide bag used in the past for holding dried meats and pemmican. The first known use of the word parfleche was in the early 1800s and comes from the Canadian French parflèche - from French parer meaning to ward off, and flèche, which means arrow. The term referred to the hide, which was tough enough to be used as a shield. Among many tribes, women made and decorated parfleche, often with designs that were passed down for generations through families. In addition to familial designs, painted parfleche bags can also be identified by tribal characteristics. Crow, Lakota, Blackfeet, Ute, Nez Perce and other tribes all used mineral paints and designs that reflected community artistic styles. The development of DeMontigny's collection was a result of the Cody Institute for Western American Studies (CIWAS) Resident Fellowship program at the Buffalo Bill Historical Center in Cody, Wyoming, where DeMontigny was a fellow last summer. These are beautiful designs with an interesting history.